VexMovies Review – Is Vex Movies Safe? Being able to cut the cable cord is something most of us want to do and thanks to so many different ways to watch movies and television shows online, it’s becoming possible. Unfortunately there is a downside to this new freedom and that is in knowing which site to stream media from safely. It’s always good to do a Google search first and that may be what landed you here, so good for you. 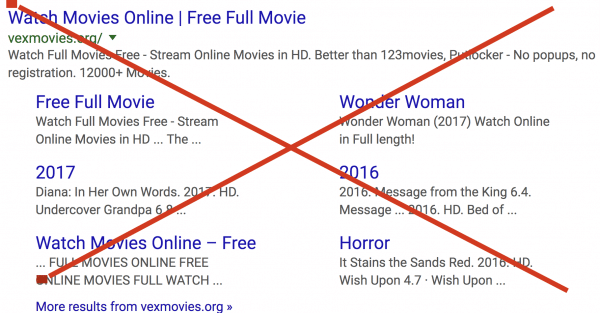 For an example of a search, if you’re considering watching a movie from VexMovies you would Google “Is Vex Movies Safe”. 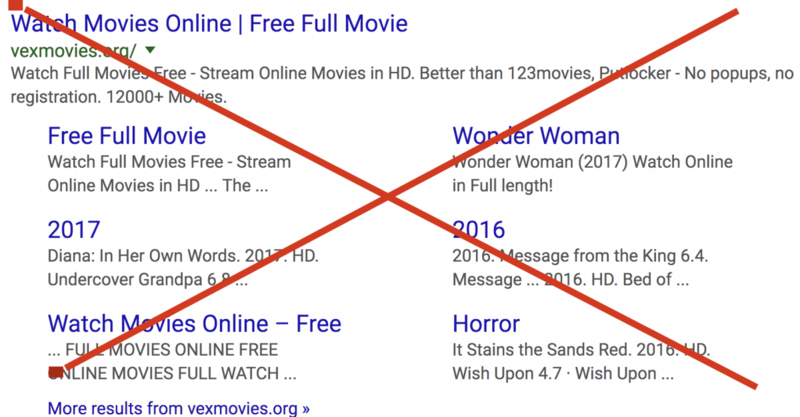 There are other ways to see if a site is legit other than doing a Google search and we’ll go over that as we also review Vex Movies to see if it’s a safe and legit free movie site. How Can I Tell If Vex Movies is Safe to Stream From? Does it have ads on it? If yes this is a good thing. It has to make money somehow if it’s legit and ads are the way they do it. Vex Movies does not have ads on it, warning sign one. Does it have an About Page? An about page will tell you where the movies are coming from. Such as a cooperation they have with Sony or another large media and entertainment giant that has the legal ability to share the movie with the site. Vex Movies does not have an about page and does not share where the movies are coming from, warning sign two. Does the site have the newest movies? Sites with the newest movies, especially those not yet released or at the movie theater still are a big warning sign that the streaming media site is not legal and can get you into great trouble if you stream or download movies from them. Even if they have older movies, any sign of new movies is a bad sign and warning sign three. Vex Movies showcases almost all new movies, most are still in the theater. As of the writing of this article the movie, Atomic Blonde and War for The Planet of the Apes, were still in the theater yet this site has them available for download. These movies are either going to be in Chinese or they will be terrible quality as it’s someone holding up a cellphone and recording the movie as it played in a theater. We highly recommend you do not download or stream new movies like this due to the legalities. Legit sites have a way to contact them. VexMovies does have a contact form. It’s unknown as to if they respond, but there is a contact form on the site. In our opinion this site is not safe to stream media from. When opening it in Chrome and other browsers the site shows no security lock, meaning the site is not secure which is just an additional warning sign. As we mentioned above it also does not meet any of the other criteria one should be able to find on a safe free movie site. One other note about this site is that it is also related to and linking to 123Movies, which also has legality concerns. What are the repercussions if you use Vex Movies anyway? You may download a virus, or you may get in trouble in other ways such as your internet provider restricting your internet in the future or dropping you altogether. Also, you may also be prosecuted for downloading media you do not have the rights to. This isn’t all that common but it is happening more and more lately as authorities try to crack down on piracy and downloading of movies. There is the option to use a VPN to help hide what you’re downloading or where it’s downloaded from, but this is of course another option that only you can decide upon and will not protect your computer from a virus. Although Vex Movies isn’t recommended by us, there are a lot of legal and safe media streaming sites online if you still want to cut the cord and watch free movies online. We have a list of them for you to checkout so you don’t have to scour the internet for safe free movie sites. If you’re ever not sure about a site, bookmark our site and click on our Search in the menu bar. Type in the media streaming site in question, such as Popcornflix or Kodi and we may have a review on it, we have reviews on the most popular ones and we are trying to cover them all so that you’ll have a trusted voice that will tell you what’s safe and what’s not. Have a favorite media streaming site you’d like to share? Please share it in the comments below!